The Sokkia Rear Locking Prism Assembly 724811 has a rear-lock system that allows you to adjust the prism to the measuring equipment with ease. The copper-coated prism measures 62mm in diameter and can be mounted on settings of 0 or -30 millimeter offset. 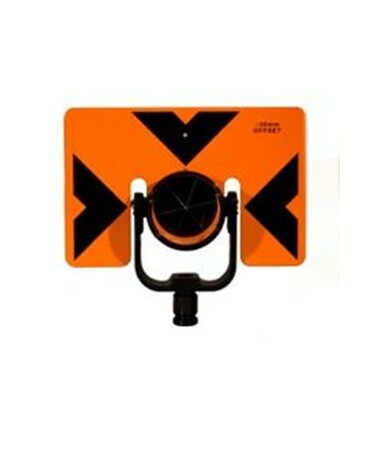 The 6 x 9 target comes in bright fluorescent yellow or fluorescent orange. All of these components can be stored safely in the carrying case that is included. This standard prism assembly comes with a 1 year limited warranty.